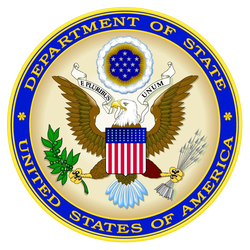 World Partnerships is the official US Department of State partner for hosting global leaders under the Department’s “International Visitor Leadership Program" (IVLP) in Florida’s seven-county Tampa Bay area. The IVLP is how we connect with the World. In 1940, Nelson Rockefeller was named the Coordinator of Commercial and Cultural Affairs for the American Republics. He initiated the exchange of persons program with Latin America, inviting 130 Latin American journalists to the United States. Since that time, nearly 200,000 International Visitors have engaged with Americans through the IVLP. Each year, almost 5,000 International Visitors come to the United States. At any given point during the year, approximately 250 International Visitors are in the United States. More than 35 current and 300 former Chiefs of State or Heads of Government are IVLP alumni. Watch the video below to learn more about the history of the IVLP program through a special message from former Secretary of State John Kerry. These visitors are a unique high-level network of global leaders: They are hand-selected by the American Embassy in their country, and personally invited to the United States by the US Ambassador to learn who America is, and to see how we Americans live, work, learn, and play. This network represents government, business, academia, the media, the arts, and NGOs. They come from developed nations, emerging democracies and transitional states. World Partnerships creates professional programs, cultural activities and social networking for these leaders with their Tampa Bay counterparts. 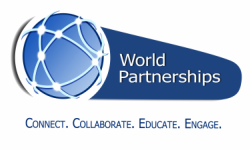 Since its founding over 19 years ago, World Partnerships has brought over 5,000 “New Generation” leaders from more than 190 countries to the Tampa Bay region. Click here to learn more about the IVLP and World Partnerships programs.